The Student Aerospace Challenge allows higher education students to compete in a Manned Suborbital Vehicle project. Supported by Dassault Aviation and other players in the aerospace sector (Airbus Group, Airbus Safran Launchers, European Astronaut Club, Thales, the Paris Air and Space Museum, etc. ), the Student Aerospace Challenge allows higher education students to compete in a Manned Suborbital Vehicle project. Every year, several work packages are proposed covering all aspects of this vehicle (structure, innovative architecture, propulsion, etc). In 2016, a record number of 18 teams competed, including two teams from the Technical University of Berlin for the very first time. 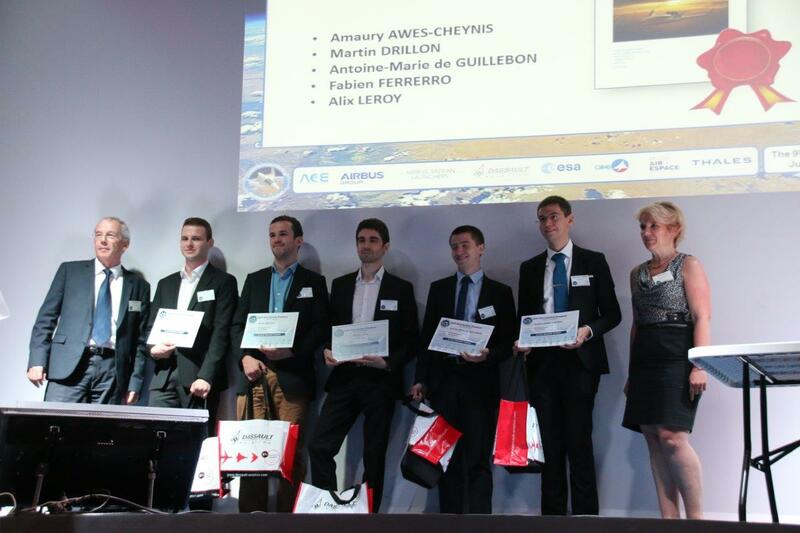 The six best projects were awarded prizes on the occasion of the 10th anniversary of the Student Aerospace Challenge, an event held to mark the Suborbital Day organized on June 23, 2016, at Le Bourget Air and Space Museum. The Dassault Aviation Award was presented to the ESTIAerospace team from Estia in Bidart, in the presence of astronauts Jean-Pierre Haigneré and Reinhold Ewald. The five students produced the “design and predefinition of a MSV carrier vehicle and its release system”. This original project, designed to transport the MSV in the bay of a blended wing body aircraft, captured the attention of the jury.